Md. Mizanur Rahman: Professor, Department of Soil Science, Faculty of Agriculture, Bangabandhu Sheikh Mujibur Rahman Agricultural University, Gazipur-1706. He has completed MS and PhD in 2000 and 2006, respectively from the Asian Institute of Technology (AIT), Bangkok, Thailand. Earlier, he has earned B.Sc.Ag. (Hons.) degree from Bangladesh Agricultural University (BAU) in 1993. 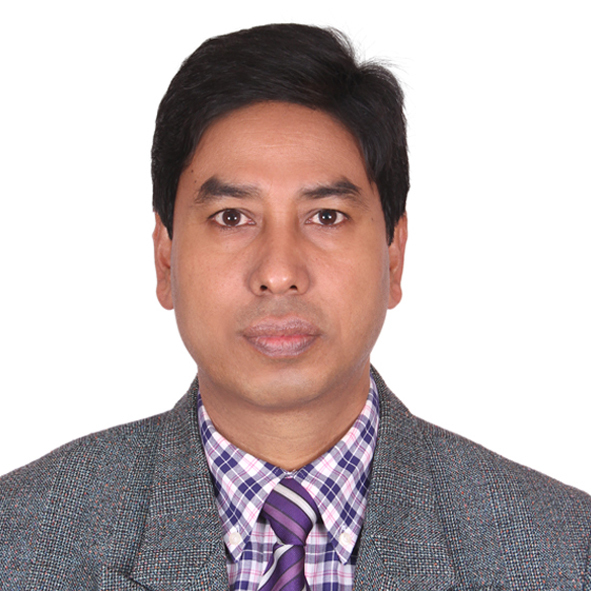 Dr. Rahman started his professional career in September 1993 as a Scientific Officer in Bangladesh Agricultural Research Institute (BARI) and afterwards in October 1993 he joined Soil Resource Development Institute (SRDI). 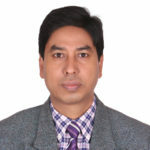 He joined Bangabandhu Sheikh Mujibur Rahman Agricultural University in November 2006 as an Assistant Professor in the Department of Soil Science and subsequently has been promoted to Associate Professor in April 2011 and Professor in April 2015. Dr. Rahman has been conducting BS, MS and PhD level courses and he has already supervised and offered degrees to two PhD students and twenty MS students as a Major Professor of the Advisory Committee. Dr. Rahman has been completed several research programs as a Principal and Co-principal Investigator utilizing the fund of SPGR, NATP, BARC, KGF, UGC, Ministry of Science , Communication & Information Technology, Ministry of Education, Research Management Committee of BSMRAU etc. Dr. Rahman is keen to conduct research on carbon sequestration, reactive nitrogen, global warming and climate change, modeling climate change impact on agriculture, waste management, nutrient recycling, soil fertility management, arsenic mitigation, soil and environmental pollution etc. He has published fifty two research articles in different renowned national and international journals. Dr. Rahman is involved with different professional and social societies like Bangladesh Soil Science Society of Bangladesh (Life Member), Association for the Advancement of Science (Life Member), Plant Breeding Society of Bangladesh (Life Member), Uttara Krishibid Association, Dhaka, Bangladesh (Life Member), AIT Alumni Association, Thailand (Ordinary Member), and Bangladesh Agriculturist Institution (Ordinary Member). He visited Thailand, Indonesia, Malaysia, India and Greece for various purposes like education, research and conferences.